The inaugural Inter-Chamber Cricket Friendly was played on Sunday 2 December 2018 at Star City. AustCham Myanmar, British Chamber of Commerce Myanmar, IMCC, and New Zealand Myanmar Chamber cricket teams battled it out for the title, with IMCC taking the honours. Well done to all the players and thanks to all the spectators who came out to support the teams. Special thanks to our host and sponsor, Star City Thanlyin and Yoma Land Home Rentals, At The 10th, and Pun Hlaing Links. 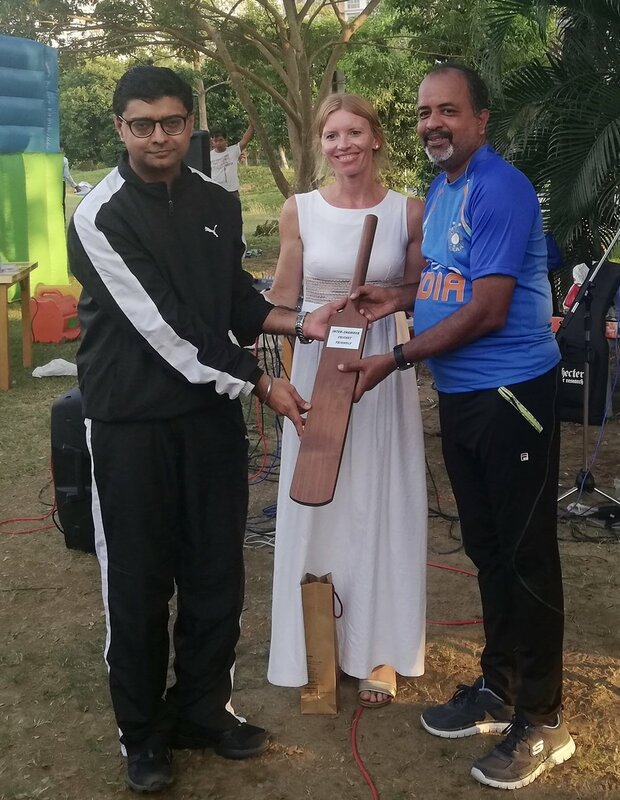 Thank you also to the New Zealand Embassy Yangon, Myanmar, for donating the beautiful hand-crafted cricket bat trophy, which will be passed between the winning team each year. Congratulations to IMCC and we look forward to getting together again next year to play once again for the title!